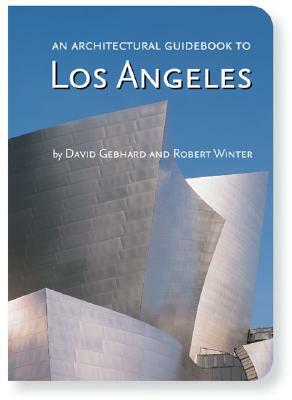 Known as "the bible" to Los Angeles architecture scholars and enthusiasts, Robert Winter and David Gebhard's groundbreaking guide to architecture in the greater Los Angeles area is updated and revised once again. From Art Deco to Beaux-Arts, Spanish Colonial to Mission Revival, Winter discusses an impressive variety of architectural styles in this popular guide that he co-authored with the late David Gebhard. New buildings and sites have been added, along with all new photography. Considered the most thorough L.A. architecture guide ever written, this new edition features the best of the past and present, from Charles and Henry Greene's Gamble House to Frank Gehry's Disney Philharmonic Hall. This was, and is again, a must-have guide to a diverse and architecturally rich area. Robert Winter is a recognized architectural historian who lives in Los Angeles, and has led architectural tours through the Los Angeles area since 1965. He is a professor at Occidental College in Los Angeles.